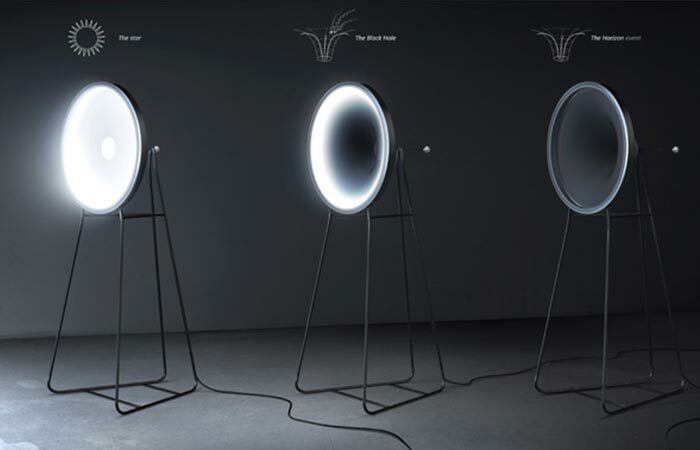 Dario Narvaez and Anthony Baxter from Curve ID designed a lamp that works on the same principle as a black hole. So, just like in space, the Black Hole Lamp draws light down to a single point from where it cannot escape. This design brought them the first prize on the L A M P (Light Architecture Movement Project). This is an international lighting competition whose theme this year was Cosmic. ‘We wanted to achieve an aesthetically pleasing piece that was also functional and interactive, where the user plays a key role in the experience of the product — we want the user to be part of the design and make them feel like they have the power to transform light.’ explained the designers. 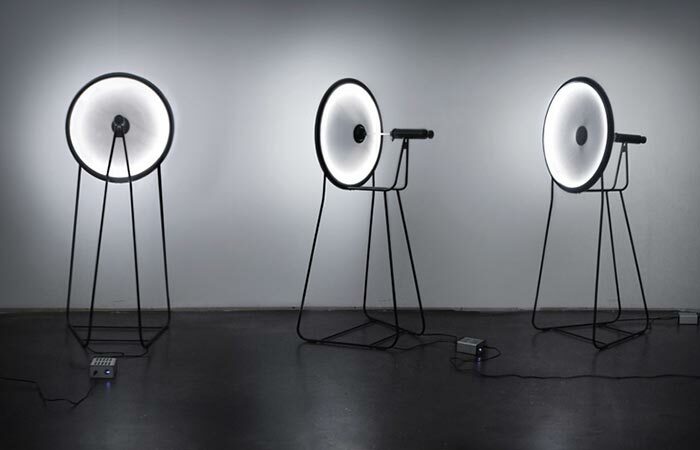 The Curve ID lamp was inspired by black holes consuming the stars and their light. So, how does the Black Hole Lamp work? There’s a handle placed behind this space-inspired lamp that when pulled back, it decreases the light. It gets dimmer and at one point, it finally disappears. In this real life example, the illuminated disc is just like a star. It’s alive and shines until the disc is stretched backward. Then, it starts losing the light and is completely consumed by a black hole. Instead of simply turning it off, the usual way, the disc on this lamp gets dimmer until the light finally disappears. The goal was also to make a classic on/off switch more interesting. What the designers struggled with was the right use of materials since they needed one that diffuses the light evenly. They decided to go with a latex and textile disc. As for the rest of the construction, it features a stainless steel rod and frame, as well as led strips. 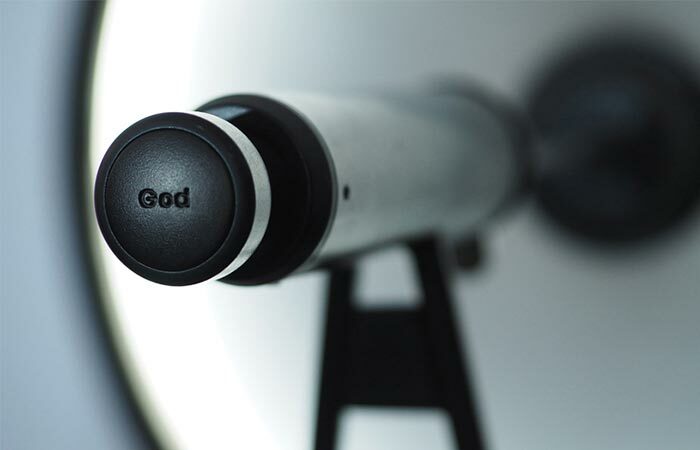 On the handle, it says God, and on the center of the lamp- a black hole.